This mod was uploaded to show that I will keep uploading and updating my mods, This mod adds in mob statues that when right-clicked play a sound and drop an item, some statues even have extra features! Also once again use JEI for recipes, as I do not know how to link an image. 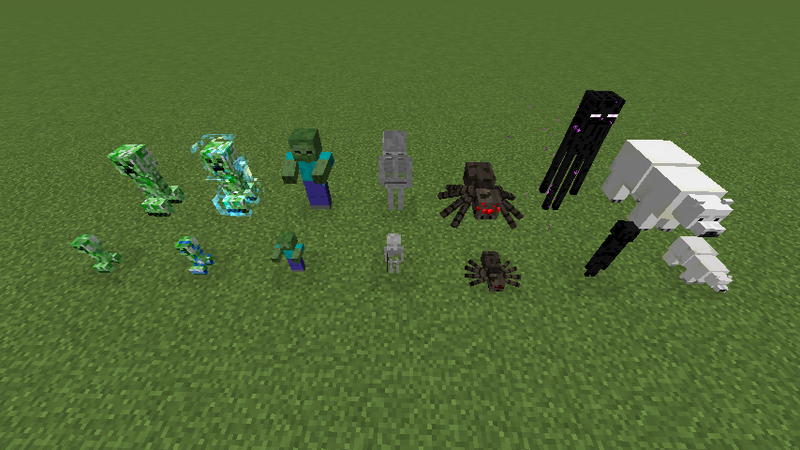 Also Some mobs will have animated parts, this mod also adds bigger mobs with a the word Bigg before the name! How did you get the models so small?